You may come for the beautiful floral displays, or perhaps you want to find out more about gardening or making changes that support sustainable living. Whatever brings you here – whether you love strolling the grounds or you come to see a particular collection – the Missouri Botanical Garden has something to offer everyone at any time of the year. Peter Wyse Jackson is the president of the Missouri Botanical Garden and George Engelmann Professor of Botany at Washington University in St. Louis, MO. Born in Kilkenny, Ireland, Wyse Jackson obtained a B.A. (Mod.) in botany and an M.A. from Trinity College Dublin, where he subsequently obtained a Ph.D. for work on the taxonomy of Irish Cruciferae. In 1981, he was appointed administrator of the Trinity College Dublin Botanic Garden. In 1987, he moved to Kew to join IUCN, the International Union for the Conservation of Nature, where he helped to establish the international network organization for botanic gardens that became Botanic Gardens Conservation International (BGCI). In 1994, he was appointed secretary general of BGCI and in 2005 returned to Dublin as director of the National Botanic Gardens of Ireland. In 2010, he was appointed to his present position at the Missouri Botanical Garden. As one of the world’s foremost and best known botanists and plant conservationists, Wyse Jackson has played an influential role in reshaping and leading the international botanic garden community over the past two decades. He has worked extensively with botanic gardens and their network organizations worldwide, helping to establish or develop botanic gardens and other organizations in over 30 countries. He played a lead role in the development and implementation of the Global Strategy for Plant Conservation, adopted by the U.N. Convention on Biological Diversity in 2002, and has been chairman of the Global Partnership for Plant Conservation since 2004. He was co-author of the International Agenda for Botanic Gardens in Conservation, now endorsed by some 500 botanic gardens. Wyse Jackson has been a member of the boards of numerous botanical, conservation and horticultural organizations around the world. 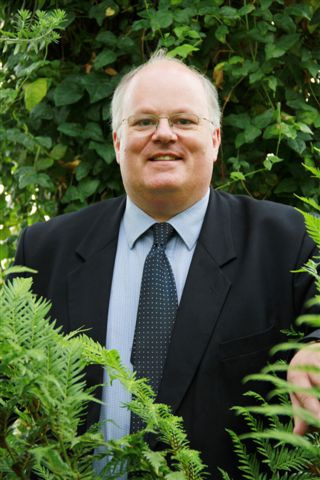 He was founding chairman (and currently continues as co-chair) of the World Flora Online Consortium, an organization launched in 2012 to prepare an online Flora of the world by 2020. In 1995, he founded the European Botanic Gardens Consortium, an organization that links botanic gardens through Europe; he was elected as an honorary member of the Consortium in 2005. He was chairman of Ireland’s Biodiversity Forum, monitoring the implementation of Ireland’s National Biodiversity Plan. He is a member of the board of BGCI, and a former member of the boards of the Irish Biodiversity Data Centre and Dublin Zoo, Fauna and Flora International, the Botanical Society of the British Isles, the Royal Horticultural Society of Ireland and the Center for Plant Conservation (U.S.). He is a Fellow of the Linnean Society of London and a member of the IUCN Species Survival Commission. He holds the position of adjunct professor of the Chinese Academy of Sciences at Xishuangbanna Tropical Botanical Garden, Yunnan, and is an External Advisor of the Chinese Union of Botanical Gardens. He is an Honorary Life Member of the Red Nacional de Jardines Botánicos de Colombia and is a Fellow of the Explorers Club. In St. Louis, he is a member of the Board of Trustees of the Donald Danforth Plant Science Center, a member of the Board of Commissioners of Tower Grove Park, a member of the Board of Webster University, an Ex Officio Trustee of the Academy of Science St. Louis and an ex officio member of the St. Louis Regional Chamber. He is an honorary member of the St Louis and Ladue Garden Clubs. His publications include twelve books and over 250 scientific papers and other articles. His most recent book, Ireland’s Generous Nature: the past and present uses of wild plants in Ireland (Missouri Botanical Garden Press, 2014) was shortlisted for the international 2015 Annual Literature Award of the Council on Botanical and Horticultural Libraries (CBHL). His recent research includes work on plant conservation, Irish ethnobotany, botanic gardens development and management and international biodiversity conservation policies. Watch a brief biography of Dr. Peter Wyse Jackson prepared upon his acceptance of the 2016 International Visionary Award by the Boeing Institute of International Business at Saint Louis University.